Word on the street is that League of Legends has peaked. While the number of active players is still astronomical, there are signs that the game’s meteoric growth has leveled out. In fact, some are starting to wonder if perhaps the player base has started to shrink. Of course it is inevitable that League of Legends will eventually pass its crown on to the Next Big Thing in online gaming. No empire lasts forever, after all. However, LoL’s downfall is being unnecessarily hastened by one major problem that Riot Games has as yet been unable to adequately address: the massive barrier to entry facing brand new players. At first glance, the game seems relatively easy to explain, but the complexities quickly accumulate. Players form five-man teams and have to coordinate their efforts to destroy their enemy’s base. Upon joining a game, first one has to choose a Champion. There are over 100 different Champions in the game, each of which has a unique skill set and play style appropriate to one or more different Roles. Players in competitive games are expected to know the abilities of each Champion and how they interact with one another and the environment. As the game proceeds, players gather gold by killing minions, structures, and other Champions. Gold is used to by items that increase combat effectiveness. But knowing which items to buy and when is vital to one’s success. Stack multiple macro- (minion wave management, vision control, tracking jungle camps) and micro- (last hitting, hitting and dodging skill shots) level tasks on top of the vast database of Champion Abilities and Item Builds players have to keep track of to remain competitively viable and you have a recipe for a game with a very steep learning curve. And the League of Legends community is far from welcoming to beginners: your fellow players are much more likely to flame you than they are to teach you the ropes. True, Riot does provide new players with a tutorial system that explains the game’s basic objectives. But the gap between the entry-level skills taught in these introductory sessions and the strategic and tactical skills needed to be useful in a real multiplayer game is enormous. So what can Riot Games do to make the game more welcoming to new players? I suggest that League of Legends should look to the last King of Competitive E-sports: StarCraft. Like LoL, StarCraft is easy to learn but quite difficult to master. 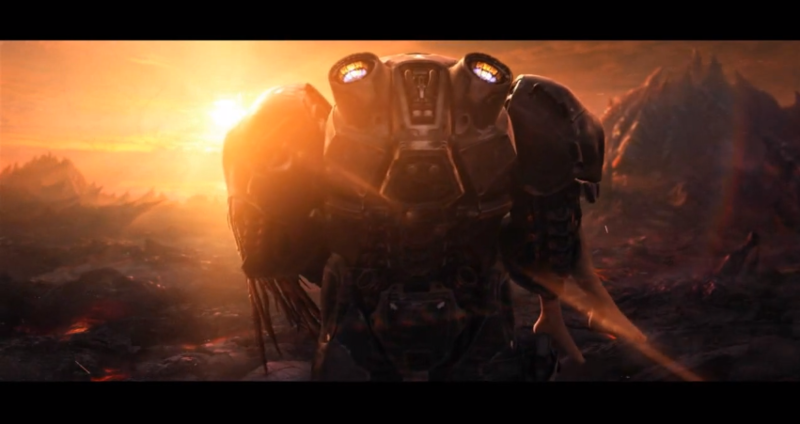 However, unlike LoL, Starcraft offers players the option of working their way through an extensive single-player campaign designed to slowly and patiently introduce new units, new environmental obstacles, and new strategies. The single-player mode is a complete game experience onto itself, with gorgeous cinematics, and some of the most memorable characters and storylines in gaming history. Even players who never bother to go on to test their abilities in the online multiplayer mode can come back and enjoy the single-player mode at different difficulty levels. But those who do enter into the melee with a much deeper pool of experience than a simple tutorial can provide. A single-player campaign would give Riot a chance to explore the lore behind their extremely deep Champion pool, something that has been all-but-neglected in recent years as the company focuses on developing professional competitive tournaments and the Collegiate Championship. They have already proven that they are capable of creating amazing cinematics, as their YouTube channel can attest. A single player mode also might be a venue where Riot could put the maps developed for now-defunct game modes like The Crystal Scar to good use. It might even make someone actually care about the Twisted Treeline. Finally, from a business perspective, a single-player mode is yet another opportunity for Riot to monetize their Free-to-Play Game. The initial release of a large-ish single player campaign could be sold like a stand-alone PC game, and as more new Champions are introduced, small expansions could tie them into the existing storyline. In other words, curiosity is no longer bringing new players to League of Legends. The only way for the player base to continue to grow is for Riot to create a reason for newbies to care about the game world and the characters who live there.